New figures suggest many drivers are still flouting the law against using a mobile while driving, despite the stiffer penalty. Scores of drivers are still using their mobiles behind the wheel, despite the launch of heavier penalties and high profile police warnings. “Disappointed” police say it’s clear some people are prepared to put others’ lives at risk. 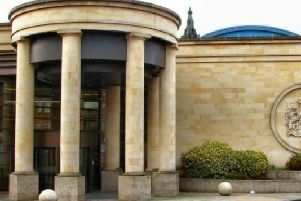 No regional statistics are available, but police say over the two week campaign to highlight the new sanctions no less than 210 people were either given a spot-fine ticket or reported to the procurator fiscal. Under the beefed-up laws the fine for using a mobile behind the wheel has been doubled to £200, and offenders also have three penalty points slapped on their licence. Over the first five days of the new penalties being imposed 42 people were charged or reported. “It is extremely disappointing that in the first five days of the new penalties being implemented, more than 40 drivers were still prepared to put the lives of both themselves and other road users at risk by using such devices while they were driving. “There can be no excuse, as there was widespread public knowledge of the change.